Flowers will always be one of the greatest gift ideas for girls. Seriously, they work for any occasion with almost any woman. However, there are many details to take into an account if you plan to switch to dating. Each culture has its own gift-giving peculiarities. Let’s now explore what rules you should follow while dating Ukrainian women. 1. If you don’t know what to give, buy flowers! In Ukraine, they bring flowers for any celebrations especially if it’s Woman’s Day, Mother’s Day, or your lover’s birthday (or you are visiting her home and meeting her female relatives). Likewise, flowers are mandatory to bring on the first date! 2. Pick an odd number of them. Note that even numbers of flowers are brought to funerals in Eastern Slavic countries. But don’t bring 13 flowers for a Ukrainian woman either – this is considered to be the sign of bad luck. 3. Quality is more important than quantity. Slavic girls are happy to get 101 roses but mostly on some special dates. In other cases, feel free to treat your lady with 7 or 11, for example. The main requirement here is that your flowers should be fresh and harmoniously composed. Please never wrap those in plastic! Only in paper with a ribbon around – a silk one if you want it to be classy. 4. Know what exactly she likes. Well, it is a rare phenomenon but not all girls like flowers. Your significant other might belong to this category too. So you have to find out ahead if you wish to date a Ukrainian girl. Next, you need to know what kinds of flowers (and what colors) are her favorites and what she dislikes. Keep in mind that particular sorts may cause an allergy. 5. Make a choice depending on what kind of a date you have. Indeed, you can’t bring a heavy 150-flower bunch on a picnic because it’s merely uncomfortable to carry. Or if you plan a whole-day trip to some tourist sites – in this case, your gift will wither. Roses. 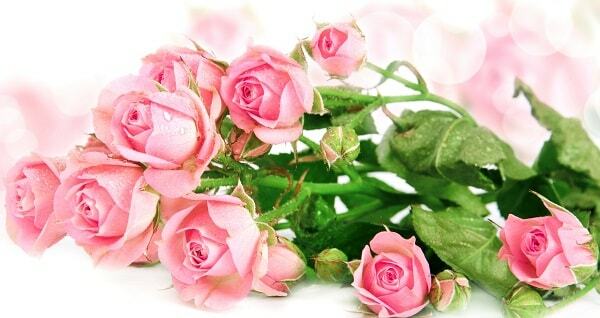 In many cultures, roses are that very flowers to give on a date. Someone may say it’s banal to choose this sort because it is sooo common. But when you want to confess your deep feelings to a girl, you will likely do it with a fine rose bunch. Narcissi. When you give narcissi to a woman, she understands that you would like to see her again. That’s why you can choose them as first-date flowers – your chances of winning a second one grow. Wildflowers. You can find those at some Ukrainian marketplaces if you want. But I’d say there is nothing better than a cute bunch of wildflowers gathered on your own on the meadow. Not because it’s free but because sometimes you need to choose simple gifts for girls. Callas. 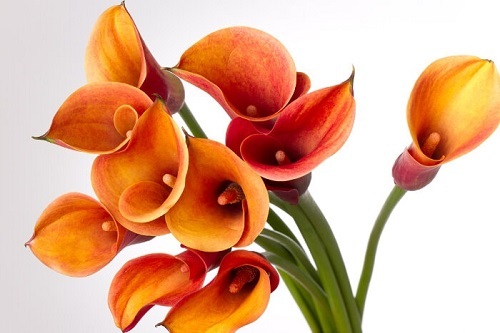 There is a belief that callas help strengthen health and bring luck. Besides, this kind of flowers is among the most sophisticated ones. So this is a great option for men dating Ukrainian girls! Orchids. Those are basically houseplants, which means you need to find out if your beloved one loves those. Yet in general, women adore orchids! They are quite tender and require much care so you’d better bring them directly to your beloved one’s place. Tulips. Another perfect option to make your date with a Ukrainian woman splendid. Just one thing to consider: avoid bringing yellow tulips as they signal about a soon breakup. There was even a popular song in the CIS in the 1990s about it! Peonies. These lovely flowers have always been the symbol of love and wealth. Many women in Ukraine love them. Note that peonies are usually available in May and June. Violets. Unless we talk about violets growing in the wild, this is not how to give flowers on a date – violets in the pot aren’t convenient to transport. Anyway, they express your appreciation of a woman’s traits so she will love them! Eustomas. In Britain, they call eustomas “Roses of Love” and for good reasons. Available all year round, they are both opulent and suitable for various events. Thanks to their undeniable beauty, these flowers are often given to young girls. In brief, this is how you choose flowers for a Ukrainian lady. Save these instructions to use in your dating life!